The In2Events team is growing and with a continuing mission to provide our clients with a seamless and flawless service, we’re committed to onboarding talented event professionals who can turn your event vision into an amazing reality, that drives results and makes the intended impact with your audience. 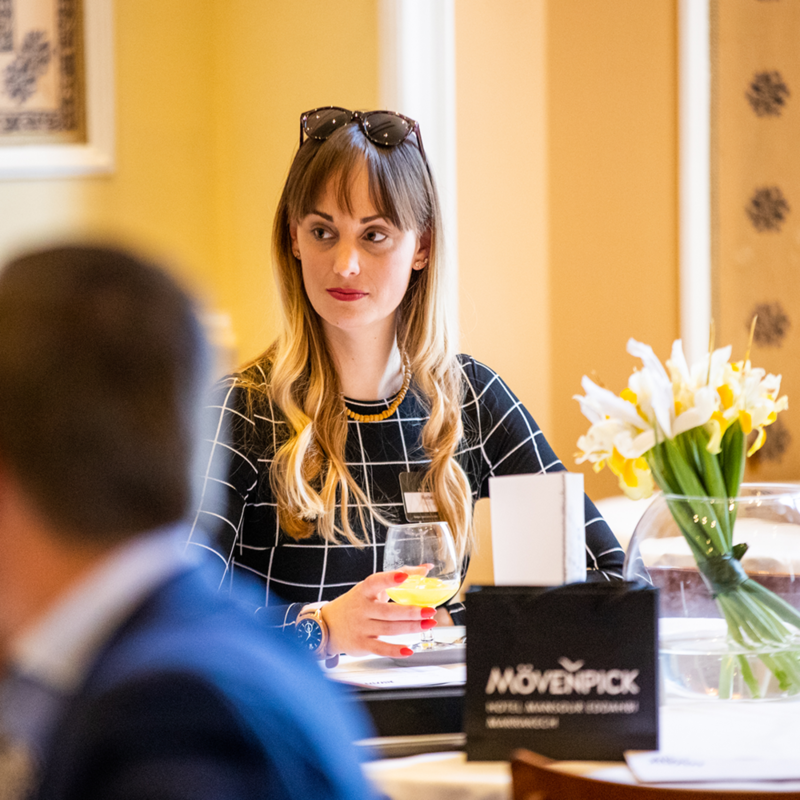 We caught up with our new Project Manager, Rebecca Hill, who joins us with a wealth of event management experience and who has already hit the ground running within the In2Events team. Having completed a degree in Conservation Biology, event management wasn’t on my radar as new graduate. However, it was obviously meant to be and I quickly settled into my events career, utilising my knowledge in conservation, doing large events for an agricultural charity: The Surrey County Agricultural Society, which puts on the Surrey County Show and the Surrey Game and County Fair. The rest, as they say, was history and my passion for events and conferences was born. With the experience gained as an Events Coordinator, I then moved into a conference-based role at MCI UK, where I was a Project Manager running large international association conferences and congresses. I’m joining the fantastic team here at In2Events as a Project Manager. With my specialism in large events and conferences, it’s exciting to join an events company that works with a portfolio of great brands, and where I can transpose my skill set into contributing to and managing large scale and innovative projects for our clients. What Attracted you to In2Events? I thrive on a fast-paced environment, so In2Events is a perfect fit for me operationally. It’s also a business that has a strong strategic direction; they know what they want to achieve within a rapidly changing industry and are taking strides to get there, and it is and will be incredible to be part of their continued growth. It’s also brilliant to work for an events agency that has design, print and build functionality all under one roof, aiding the efficient movement of projects and allowing clients to easily assess the progress of work as we bring their events to life. Plus, work culture is everything, and here at In2Events I instantly felt part of the team, and bought into the set of company values that the whole team clearly thrives on. In2Events build events for their clients with the ethos of AMAZING at the heart of everything they do. To me ‘amazing’ means inspiring. If you experience, ‘amazing’ then you’re inspired and compelled to take action, to do something impactful or to make a change in some way that allows you to be amazing, in whatever context, too; I think this is a really powerful notion to weave into every element of how we design, build and deliver events here. For me every aspect of an event is crucial, and managing each element successfully is key to the overall success. Working with clients collaboratively and delivering tangible results that align with their event ambitions, is what drives and motivates me. Producing unique experiences for participants, which instantly connects them with a brand, inspires me to keep developing concepts that resonate with delegates and allows them to absorb ideas and information whist having fun and enjoying themselves. Events are pivotal in industries across the board. They are what encourage people within their professions to evolve and seek new heights. Everyone’s lives are so busy nowadays, that sometimes events and conferences are the best opportunity for professionals to engage and network with like-minded individuals, and share and develop ideas together. “Never a problem, always a solution” is a main catchphrase for both my professional and personal life. No problem is so big that it can’t be fixed or managed. Stressing is a pointless exercise; breathe, re-evaluate and deliver. It works. I’m also a big believer in the ‘YOLO’ movement. Do what makes you happy in life, as it’s too short to miss out on anything that could improve your welfare or happiness. It’s fantastic to have Rebecca as part of the In2E team and even though she’s only been with us for a matter of weeks, she’s already been globetrotting and representing In2Events at the DBF Events and Awards – ‘All About People’ event in Portugal. Check out more on what she got up to here.